How to nominate volunteers for an appreciation pack! Volunteers are the backbone of CoderDojo. Our volunteers come from all walks of life. They are parents, students, engineers, designers, educators, librarians, youth workers and much more! 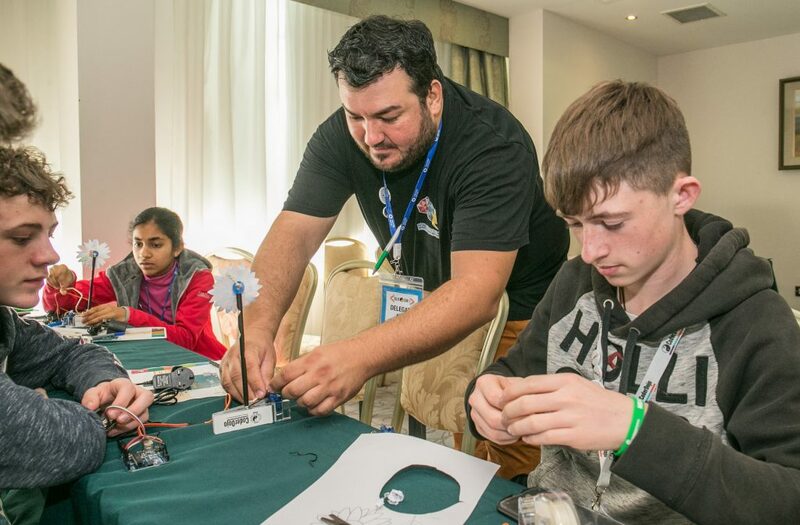 This month we want to say thank you, and celebrate the twelve thousand volunteers around the world who give their time and energy to support young people in CoderDojo clubs! We want to hear how you or other volunteers, Mentors or Champions are going above and beyond to support young people and other volunteers involved in your club. Tell us why you think the volunteer you know is great! Include a photo or video if you wish! You can also send your stories, videos and photos to [email protected] “CoderDojoVolApp” in the subject line. Every week during the month of February we will randomly select one nominated volunteer to receive a Volunteer Appreciation pack! Nominations will also be in with a chance of being featured in our volunteer appreciation blog at the end of the month! and if you’re not yet involved, the multitude of ways you can help!